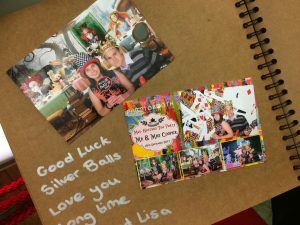 Our Guestbooks are a great addition to your Photo Booth package. Each of our guestbooks has a hard back and is spiral bound using only the best materials. Each guest will be handed their memento print within just a few seconds of their perfect picture being taken. If a guest book is ordered a duplicate print will also be given to your guest who we’ll ask to place into your guestbook and invited to leave you a special note with coloured pens supplied. We can colour co-ordinate your event with either white, black or recycled brown pages. 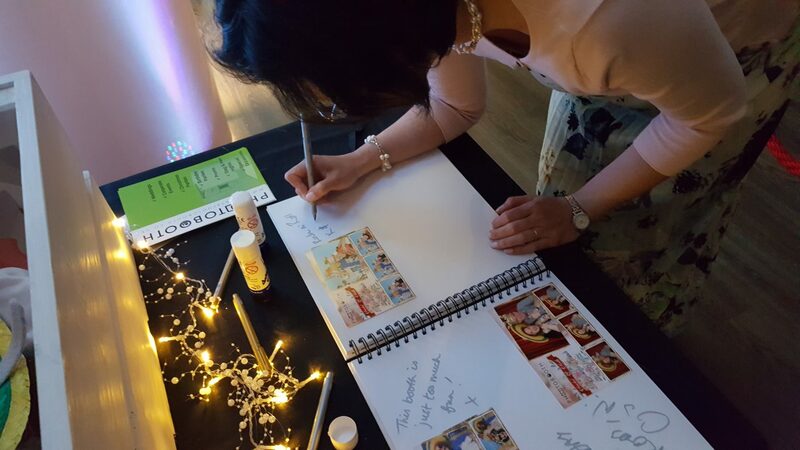 As part of our service we will oversee the completion of your guestbook throughout your event and shall hand it to you before we leave, providing you with the perfect keepsake of your day. Seeing Uncle Bill in his blonde wig and overgrown moustache or Auntie Irene in her sombrero and feather boa will provide you with memories that money can’t buy and belly laughs for many years to come. Our Photo Booth Guestbooks will complete your special day, for sure. New for 2018 we have introduced a personalised version of your Guest Book. For a small additional charge of £25 we can add a personalised plaque to the front cover showing your names and date of your event. 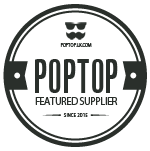 Using the same quality material and spiral bound, we also place a tasteful raised plaque on the front cover, personalised with your names and date of your event. Pages are either black or recycled white. Please let us know if you would like either photobooth guestbook added to your special day.